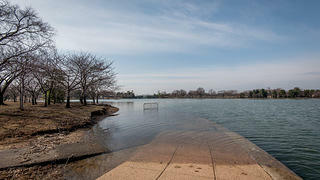 Join us in a three-year campaign to ensure the Tidal Basin is preserved for future generations. Take the Pledge. The National Mall Tidal Basin, a part of America's front yard and a true National Treasure, is a complex, iconic public landscape whose architecture and open space captures individuals and events that have defined our nation and celebrates cherished American values. Comprising some of our most renowned national monuments, the Tidal Basin includes places of remembrance and reflection that tell the history of our nation. The Jefferson Memorial reflects America’s earliest American ideals; the Franklin Delano Roosevelt Memorial demonstrates our country’s resilience; and the Martin Luther King, Jr. Memorial highlights the struggle for civil rights we continue to face today. The flowering cherry trees that encircle the Basin represent America’s friendship with Japan and are key to this National Treasure’s identity. 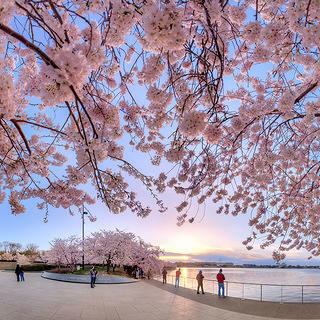 The trees are featured at Washington’s famous Cherry Blossom Festival, which attracts more than 1.5 million annual visitors. 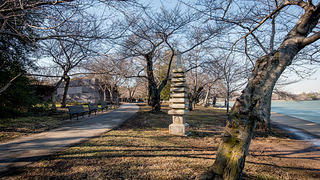 The landmark also holds lesser-known treasures like the John Paul Jones Memorial, the Floral Library, the Japanese Pagoda, and the Japanese Lantern. But while this unique waterway connects disparate stories that span centuries of American history, the instability of the land underneath the Tidal Basin, daily flooding, and crumbling infrastructure threaten its sustainability and visitor enjoyment. With the construction of the Jefferson Memorial, the Tidal Basin began its shift from recreational park to setting for memorials and monuments. 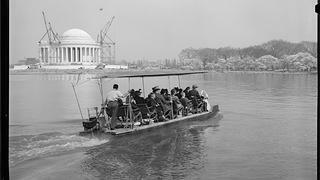 The need for the Tidal Basin arose out of a disastrous flood in 1881, which devastated the District so severely that much of the southern part of city was accessible only by boat. 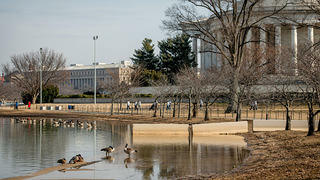 Flooded areas included parts of the National Mall such as the Washington Monument, White House Ellipse, and the Capitol. After the flood, the Army Corps of Engineers dredged the Potomac River and used sediment from the shipping channel to fill in the tidal wetlands that are now West and East Potomac Park. In 1887, engineers installed gates at the entrance and exit of a newly formed pond (now the Tidal Basin). At high tide, the gates open and fill the pond with water. At low tide, the water exits into the Washington Channel, and the rush of water is designed to sweep the leftover sediment away. 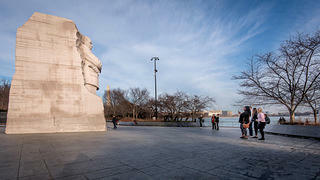 The Tidal Basin also uses a pumping system to keep the reflecting pool at the Lincoln Memorial full of water. The silt and water of the Potomac Flats make the Tidal Basin unstable—despite the gate system designed to protect it—and the conditions they create compromise both historic resources and visitors’ experiences. Each day at high tide, water floods the sidewalks surrounding the Tidal Basin, making them impassable for visitors and compromising the roots of the cherry trees. During inclement weather, conditions are even worse; the edge of the sidewalk is indistinguishable from the deeper waters in the basin. This flooding is expected to grow more severe in coming years as sea level rise causes increasingly high tides. Daily flooding along the walkway and accessibility issues lead to hazardous conditions for visitors. 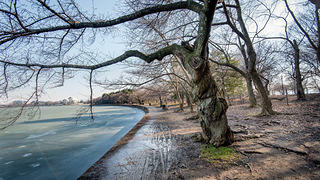 Flooding also compromises the roots of the Tidal Basin's famous cherry trees. Martin Luther King, Jr. Memorial, completed in 2011. Dating back to 1600, the Japanese Pagoda is made of 3,800 pounds of granite. It was given to Washington DC by the mayor of Yokohama in 1957. Flooding along footpaths, seawall damage, and haphazard security barriers. In addition, the daily flooding hampers accessibility, and perimeter and safety challenges, substandard visitor facilities, and inadequate interpretation all threaten the Tidal Basin. These challenges are compounded by chronic annual underfunding of the National Park Service (NPS) maintenance budget. The NPS’ National Mall Plan, a 50-year vision for the nation’s most visited national park, estimates as much as $500 million in needed upgrades at the Tidal Basin and more than $800 million in total at the National Mall, constituting the largest portion of the $11.6 billion National Park System deferred maintenance backlog. 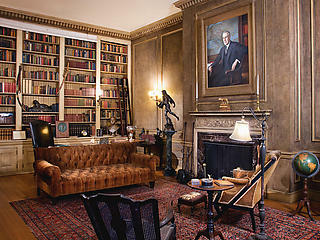 This considerable threat requires a bold, creative, and integrated preservation approach. The first phase of the National Trust’s three-year campaign—in partnership with the Trust for the National Mall and the National Park Service—is to design, host, and share results from an Ideas Lab presented by American Express, which will invite five world-class architecture and landscape design firms to reimagine the future of the Tidal Basin with innovative and forward-thinking historic preservation solutions. Together, we will overcome the complex preservation issues affecting the Tidal Basin. Rising sea levels and as much as $500 million in deferred maintenance threaten this 107-acre landscape, lined with monuments that define our nation. Join our campaign to ensure the Tidal Basin is preserved for future generations. Pledge your support to Save the Tidal Basin. Donate to our campaign to Save the Tidal Basin. 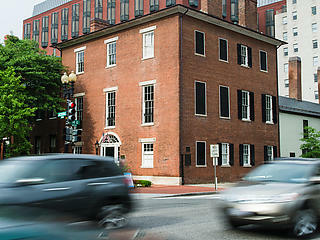 African American Cultural Heritage Action Fund Black Urban Design in a "Changing America"